Tala is an Associate in the firm's General Commercial Litigation Practice Group where she specializes in business disputes and financial services litigation. Tala’s practice focuses primarily on general civil litigation in state and federal courts. She has experience representing clients ranging from individuals and small businesses to large corporations, manufacturers, construction companies, and national financial institutions in a variety of business disputes, including contract disputes, business torts, complex commercial litigation, financial services litigation, insurance coverage disputes, and real estate disputes. 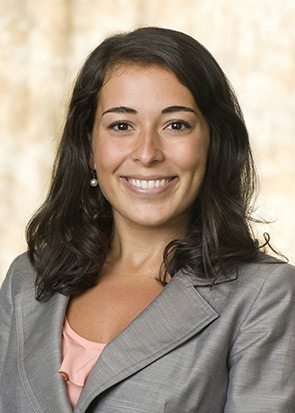 Tala has diverse experience litigating in Georgia’s state and federal courts, both at the trial and appellate level, and has successfully litigated in matters in other jurisdictions throughout the country. Tala’s practice involves multiple aspects of litigation, including discovery, e-discovery and document management, motion practice, and trial. Tala also maintains an active pro bono practice through the firm’s pro bono initiative with the Health Law Partnership (“HeLP”), an interdisciplinary community collaboration between the Atlanta Legal Aid Society, Children’s Healthcare of Atlanta, and Georgia State University College of Law, through which she regularly assists families with ill and/or disabled children in obtaining guardianships over minors and incapacitated adults. Tala also founded Burr & Forman’s partnership with Kids in Need of Defense (“KIND”), the leading organization providing assistance to the unaccompanied immigrant and refugee children who enter into the United States immigration system. With the help of volunteer attorneys, Burr helps ensure that the these children do not appear in immigration court without representation. Tala also serves on the firm’s Recruiting Committee, focusing on Burr & Forman’s Atlanta office, and the firm’s Diversity Committee. While at Georgia State University College of Law, Tala was a member and associate legislative editor of the Georgia State University Law Review and a member of the student bar association in Atlanta. Prior to law school, Tala graduated from the University of Georgia in political science and a minor in Spanish.